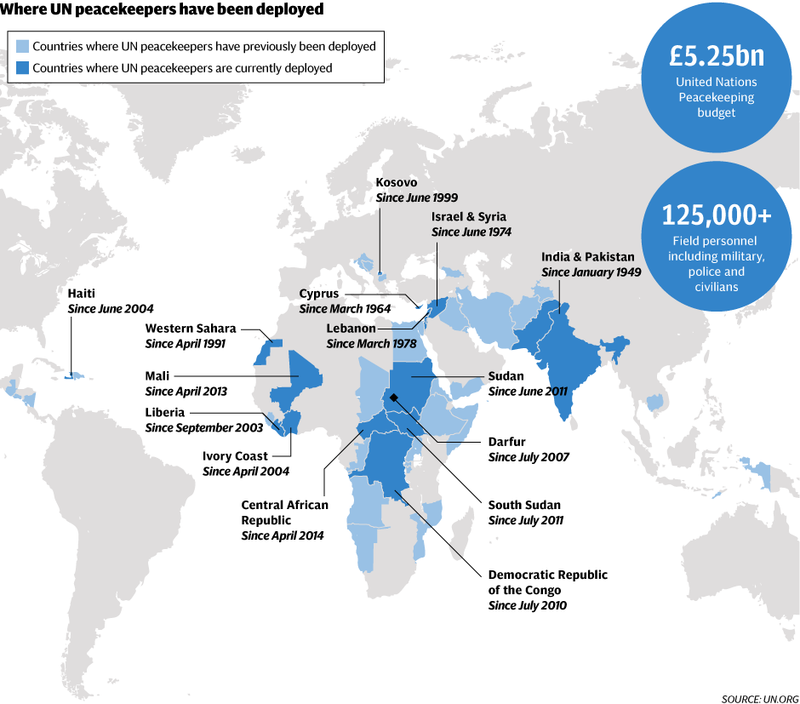 Scooper - Technology News: The UN has a plan to restore international peace and security – will it work? The UN has a plan to restore international peace and security – will it work? It’s official. Global instability is the new normal. Political and economic uncertainties, combined with climate change and the so-called Fourth Industrial Revolution , are all contributing to create unparalleled volatility. Diplomats and defence specialists have fretted over these interlocking threats at major conferences in Davos and Munich over the past two months. The potential for catastrophic outbreaks of violence between the US, Russia, and China is more apparent now than at any time since the Cold War came to an end. Proxy conflicts in Syria and Yemen, Russian aggression over Ukraine and its neighbours, and tensions in the South China Sea are in some ways a “correction” after two decades of relative stability. And the problems don't end there. Many of the world's 40-odd armed conflicts are becoming more vicious and fragmented . Civil wars and factional fighting in Syria, Libya and Yemen are generating record levels of population displacement. More people were killed as a result of “terrorist” acts in the past few years –especially in Africa and the Middle East – than ever before. These latest trends are in stark contrast to a half century decline in organized violence. The strain of these transnational challenges on the UN system is stretching the organization to its breaking point. There are currently 16 peacekeeping operations deployed around the world – nine of them in Africa, three in the Middle East, two in Europe and one in the Americas. There are currently more blue helmets on the ground than at any time in history. The cost of keeping over 125,000 personnel in the field hovers at roughly $8 billion a year. The mounting sense of disorder is shaping how the world's political and military leaders are thinking about international peace and security. Some of them are calling for a return to isolationism: focus on humanitarian relief to global hot spots and little else. Others are clamouring for more muscular forms of intervention, especially to snuff out radical extremism in North Africa and the Middle East. The space for moderation and balance is shrinking. Faced with this ominous state of affairs, what is the UN to do? The organization started by doing what it knows best – commissioning reports. UN Secretary General Ban Ki-moon did not just ask for one report, but several. In 2014, he requested that the UN set up high-level panels to deliberate on the future of peace operations , the peacebuilding architecture , and the relationships between women, peace and security . All of this soul searching is intended to have a real-world application. Everyone knows that the UN has to repurpose itself in order to better engage with a turbulent global system. After a few years of reflection and consultation, the results are in. Not surprisingly, the three panels concluded that a credible, legitimate and well-resourced UN is part of the solution. At least six recommendations stand out from the three high-level reviews. First, conflict prevention is the order of the day. The best way the UN can save lives and reduce spiralling costs is by preventing war from breaking out in the first place. This means the UN needs to adopt a culture of prevention across the organization. And the UN cannot go it alone. There needs to be more burden-sharing by member states, including both traditional donors and emerging powers. Second, the form and function of peacekeeping should be shaped by the situation on the ground, not the (often competing) political interests at the UN headquarters in New York. The UN also has to abandon cookie-cutter approaches to peace support missions. To do this, the UN Security Council has to be more flexible about determining when troops should enter, how long to stay, and when to exit. Third, strategic and inclusive partnerships are essential. UN agencies have to stop navel gazing and fighting petty turf wars and get better at reaching out to regional bodies, non-governmental organizations and civil society groups that have a stake in peace. Moreover, UN-resourced activities need to be people-oriented, field-focused and much better targeted at actual and potential hot spots. Fourth, the focus cannot be limited to "building" peace, but rather making peace “sustainable". This rhetorical shift is important. Rather than confining activities to post-conflict settings, the UN and its partners need to double down on peace before wars break out. This recommendation dovetails with the freshly minted Sustainable Development Goals, particularly goal 16 , which calls for promoting just, peaceful and inclusive societies. Fifth, national ownership of "peace", while difficult, is fundamental. Ownership cannot be limited to national government institutions alone, but must be extended to political parties, labour unions, chambers of commerce, women’s organizations, veteran’s associations, minority groups and more. When key players are excluded from peace processes, wars are much more likely to restart. Finally, and perhaps most important, there must be a much more proactive engagement with women’s participation in peace at all stages of the process. This includes involving women at multiple levels of the peacemaking, peacekeeping and peacebuilding process, together with support and protection services for women and girls. Investment in women peacebuilders and respecting gender rights can also help undermine extremism . All of these recommendations are eminently sensible. UN member states would do well to act on them immediately. It is worth recalling that we've seen some of them before. Back in 2000, the Brahimi Report on peace operations made some of the same points, not least the importance of political solutions over military ones, matching peacekeeping needs with resources, increased coherence in UN responses to emergencies, and stronger partnerships to deliver results. So why do these new proposals matter? Well, for one, they reflect a world that has qualitatively transformed. As the global scenario continues changing, so too must the UN. The three reviews – together with a new plan of action to counter extremism – acknowledge the evolving interconnected threats facing the international system, including transnational organized crime, cybercrime and terrorism. They also note how the UN is a target in ways it never was before . On a more positive note, there are also many new regional organizations with which the UN can partner. These groups are distributed (unevenly) across the Americas, Africa, and Asia. Some of them – including the Economic Community of West African States (ECOWAS) and the Union of South American Nations (UNASUR) – are assuming a more proactive role in brokering peace deals and supporting recovery. While still too state-centric, regional organizations have a key role to play when it comes to preventive diplomacy, conflict prevention and supporting peace more generally. Finally, the UN is building a peace architecture that – while needing more robust financing from member states – should help implement the recommendations set out by the three panels. Today, the peace architecture consists of a more proactive and multi-mandate UN Department of Peacekeeping , a Peacebuilding Support Office , a Peacebuilding Commission and a Peacebuilding Fund . A stronger Department of Political Affairs and Office for South-South Cooperation is also advisable. The UN is finally starting to get its act together to confront the most intractable threats to international peace and security. While silent on the UN’s most systemic problems – not least the unrepresentative nature of its Security Council and the veto powers of its permanent members – the panels offer some hope. Many of their recommendations deserve financial backing, including a meaningful expansion in the UN's assessed budgets for peacekeeping and peacebuilding institutions. The big question is whether these proposals are sufficient to make the world safer.